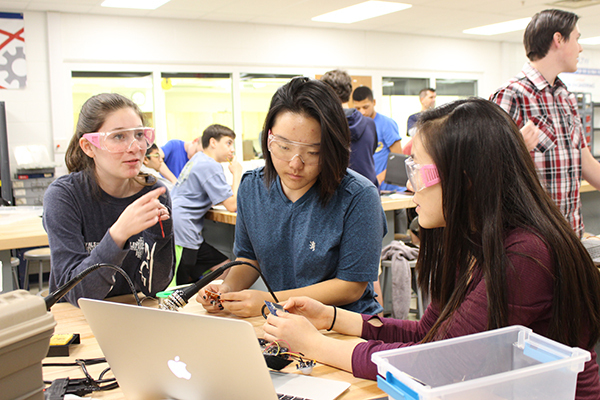 GIRL GENIUSES: Discussing and planning, sophomore Sophie Nathanson, senior Elizabeth Park and junior Katheryn Woo develop a prosthetic hand. The prosthetic hand that Society of Women Engineers designed and created was donated to e-NABLE, an organization that sends prosthetics to those in need. Society of Women Engineers (SWE), an engineering club at South, created a prosthetic hand for an individual in a third world country while working with the organization e-NABLE. e-NABLE is an organization that was created to provide people in communities with a need for prosthetic limbs which are created by volunteers. Anyone with access to a 3D printer can make a hand and send it to e-NABLE, who passes it along to those in need. The project was an enjoyable success and SWE Vice President Abby Coleman described the novelty of the project. “It was a fairly new process and something we had never quite done before,” Coleman said. To make sure everything was done right, the students prepared extensively. They researched the project, watched videos online and even brought in an amputee guest speaker, from whom Coleman and other project members learned more about how engineering can affect individual lives. Michael Sinde, Engineering teacher at GBS and Sponsor of SWE, enjoyed allowing the students to take the leading role in the project. Despite initial difficulties involving the 3D printers not working correctly, SWE has finished its first prosthetic hand and now only needs to send the hand to e-NABLE. The students were able to take pride in successfully creating something important and impactful. Maryna Syeirtseva, a member of SWE, said that watching the arm come together was an extraordinary experience. Now the students look towards plans for the future. They have recently been matched with a 7-year-old girl named Jaydee from Florida through e-NABLE and will soon make a hand for her. This hand will present new challenges and difficulties because each individual part must be sized differently to be made uniquely for the girl. Sinde mentioned that they might make the hand a unique color, and how they plan on creating more hands for the girl as she grows up. 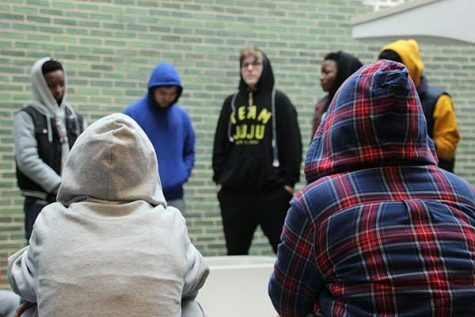 “[The students] learned a lot through it, and I’m really excited to make the connection with the person we’re helping,” Sinde said. According to the group, they would love to continue working with e-NABLE but since there are more people volunteering for the project than needed hands, they will have to wait until e-NABLE contacts them. The group is also looking to expand beyond the e-NABLE project. 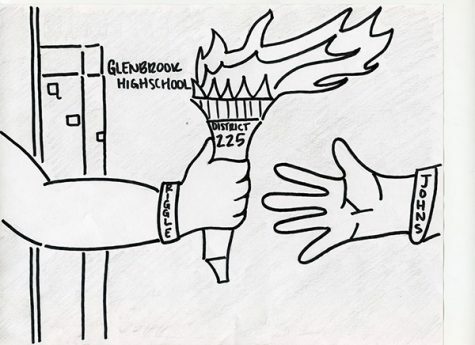 “In the future, we also want to reach out to people in our own community and see if there’s anyone from [Glenview] that would need [a prosthetic] too,” Coleman said. 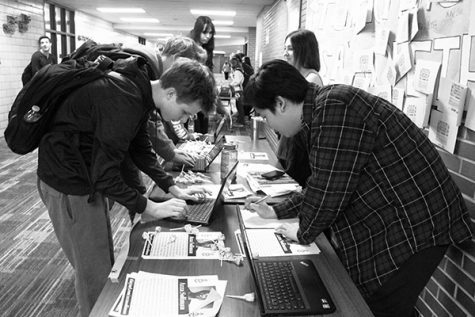 The students were equally excited to get involved in serving, and also appreciated applying their experience in computer software and biomedical engineering. Sinde commented on the intersection of service and science. “For teenagers to get involved in service and service, in this case, that has an engineering background, really is awesome,”Sinde said.